Atlanta Hawks GM Travis Schlenk told San Francisco radio station 95.7 The Game this morning that he had a deal in place with the Milwaukee Bucks to move up from the 19th pick to the 17th. The Hawks knew they wanted one of two players—including Maryland shooting guard Kevin Huerter—and were sufficiently convinced that the Bucks and the Spurs (at 18) would take the two guys. So they were prepared to part with future picks in order to move up two spots and get one of their guys. 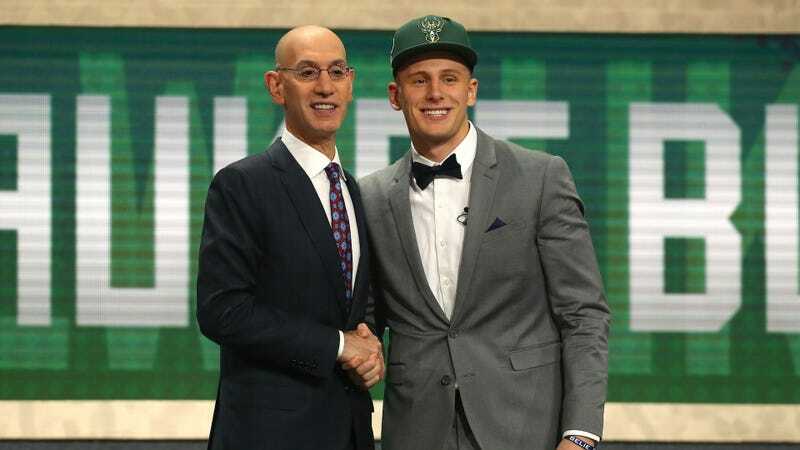 However, Schlenk said that the deal became unnecessary because Shams Charania reported that the Bucks were going to take Donte DiVincenzo, who was, apparently, not one of the two they wanted. Pick tipping is not just helpful for fans, it turns out. “So, all of a sudden, we were able to pull back out of that deal and keep the draft pick instead of packaging picks to move up because we knew that two guys on the board we felt really good about and only one team in between us so that was beneficial to us last night,” Schlenk said. So someone involved in the process of drafting DiVincenzo—either DiVincenzo’s agent or someone in the Milwaukee front office —cost the Bucks an asset by leaking the pick to Charania. Either way, the Hawks at least came out ahead in one draft-day move after their confusing Luka Dončić trade.